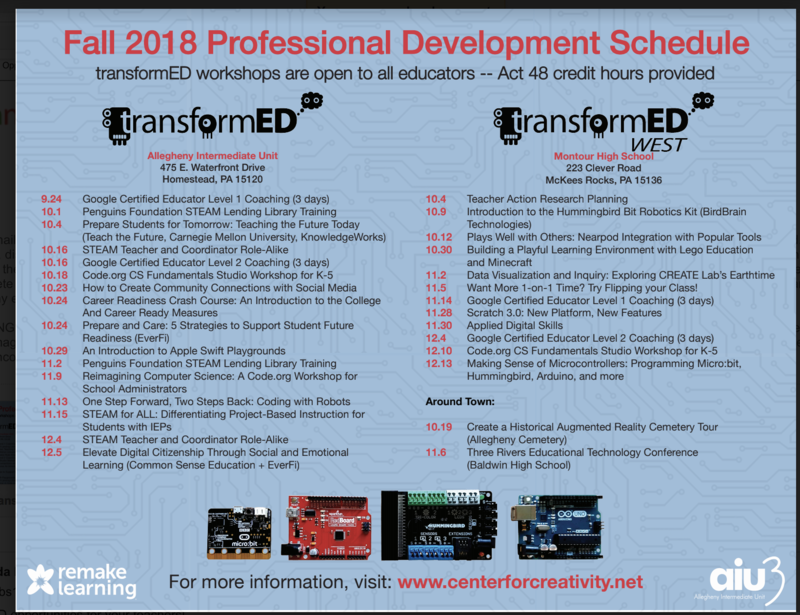 Join Remake Learning for “transformED Fall 2018 Professional Development” dates. The Fall 2018 transformED calendar features over 30 professional learning opportunities for educators. Workshops are open to all educators—classroom teachers, out-of-school time providers, preservice teachers, etc. Learn more and register online at www.centerforcreativity.net.